Chekuiyot Kizhakkaveettil Vineeth, is an Indian professional footballer from Kannur, Kerala, who was born on 20th May 1988. Currently playing for Kerala Blasters in the Indian Super League, he can comfortably switch between being a winger and a midfielder. He was the highest scoring Indian footballer in the 2016 season of ISL with 5 goals to his name. Vineeth started his footballing days playing for Chennai Customs and Kerala State Electricity while studying in SN College in Kannur. The versatile player was discovered by Chirag United Club Kerala, which was a club that played in the I-league. He made his professional debut in the 2011-2012 season of the I-league, playing for Chirag United at the age of 23. His debut was not something to boast of as he was substituted after 10 minutes. The team was relegated after this season and C K Vineeth signed for United FC. Vineeth made his international debut in 2013 in a friendly against Palestine in Kochi. He came as a substitute at the 85th minute and India ended up losing the match 4-2. Vineeth’s career shot upwards when he signed with United FC for the 2012-2013 season. He made his debut for the team against Air India, where he played 82 minutes in the match and even scored a goal. He ended up being the top scorer among Indians that season with a tally of 7 goals, thus announcing his arrival in the footballing world. Following two successful seasons for United FC, he had offers to play for Pune FC and Bengaluru FC, which was a new entrant in the league. He ended up choosing Bengaluru FC as it was closer to his home. Bengaluru FC won the league that season, becoming the first Indian club to do so on their debut season. In the 2015-2016 season, Vineeth scored 4 goals for his team, carrying his team to the league title for the second time. Bengaluru also won the Federation cup two times while Vineeth was a part of the team. For the second season of the Indian Super League in 2015, Vineeth was sent to Kerala Blasters FC on loan. Vineeth had a poor first season and his team ended up at the last position in the league. However, Vineeth was back in 2016, where he became the top Indian scorer after netting 5 goals in 9 matches. Kerala reached the finals that season but couldn’t win the cup. Vineeth however, failed to establish his prowess at the international level. He has played 7 matches since his debut in 2013 without scoring a goal. 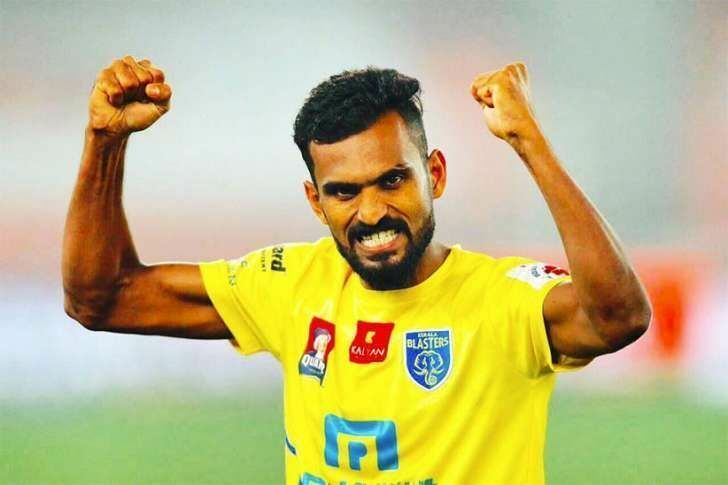 At 29 years of age, he still has a lot to offer and it will be interesting to see how Kerala’s footballing sensation fares in the coming years.